Maplin Electronics was one of the UK’s biggest specialist retailer of consumer electronics. With over 15,000 different products Maplin sells everything from MP3 players and Sat Nav systems, to digital cameras and Wi-Fi connectors, across the broad categories of Sound & Vision, Computer, and Hobbies and Electronics. Maplin was launched by two technology enthusiasts in 1972 who were frustrated by the lack of good quality electronics components. 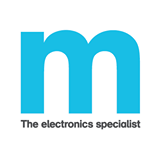 Maplin Electronics quickly became the experts’ choice, with a reputation for the best product range and expertise.